For new customers we have various special offers and promotions that depend on the number of week’s storage you pay in advance. 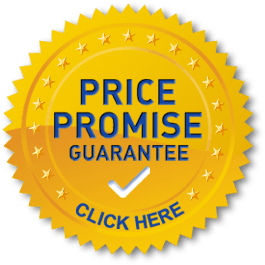 Also, our standard prices are very keen and we are confident to give you our ‘Price Guarantee’ not to be beaten on price for a comparable storage service. So for 4 weeks rent paid in advance you get one of the below. For 8 weeks rent paid in advance you get two of the below. And for 12 weeks rent paid in advance you get all three of the below. PROMOTIONAL OFFERS ARE ONLY VALID FOR A SINGLE USE ONLY AND CANNOT BE USED IN CONJUCTION WITH ANY OTHER OFFERS. OFFERS MAY BE WITHDRAWN AT ANY TIME. 23 hours use of one of our vans to move your goods into one of our storage units. We only ask that you pay for insurance, the fuel used and £100 returnable deposit. * The cost of the insurance is £14.50 per 23 hour period with a £500 excess. This offer is of course subject to the availability of a van on the day. * Subject to our T&C's this will be refunded to you on vacation. to the value of £15.00 (see Packaging Items). for the unit being rented. For a comparable West Midlands Self Storage service against a competitors written quotation we will not be beaten on price – (This offer does not include caravan storage). All our special offers and promotions are for new customers only and subject to terms and conditions. Please contact us for full details either by filling in and sending our ‘Quick Storage Quote’ form or phoning us on our free phone number. We look forward to hearing from you to talk about our Special Offers and find the most beneficial way for you to store with U Can Store It Self Storage.